The article also reveals the tenth and final participant of the “First 10”, the original 10 volunteers in the PGP.Â I wrote about the first nine volunteers in the PGP almost exactly one year ago and noted that the tenth participant had not yet released his or her name.Â The Wired article, however, mentions a number of participants including George Church, Esther Dyson, Rosalynn Gill, John Halamka, and Steven Pinker.Â Indeed, a check of the PGP website confirms that Steven Pinker is the last PGP volunteer to be identified. 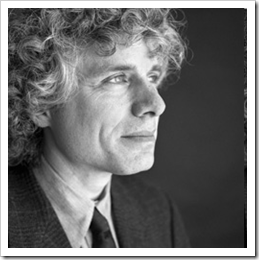 There is more information at Dr. Pinker’s Harvard website and at Wikipedia. Kimberly Spencer’s last blog post..Welcome to PetProductsDelivered.com Blog!